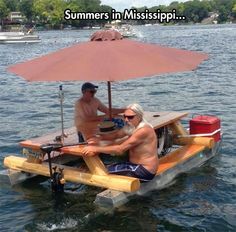 BestPicnicBasketSet: Funny Friday - Picnic Table Boat?? Every time you think now I saw it all you see something like this. Would you would ever consider building a boat out of a picnic table? Be sure to let us know below.